Individuals with complex conditions can lack the skills needed to regulate their emotions and may react impulsively as displayed through tantrums, aggression, disruption or self-injurious behavior. Often, these behaviors are interpreted as deliberate or defiant but occur as result of an individual’s inability to manage their emotions. Emotional regulation is one of the pillars of The Center for Discovery’s HealthE7 Model, developed to teach coping skills and promote appropriate social interactions and prevent maladaptive behavior. 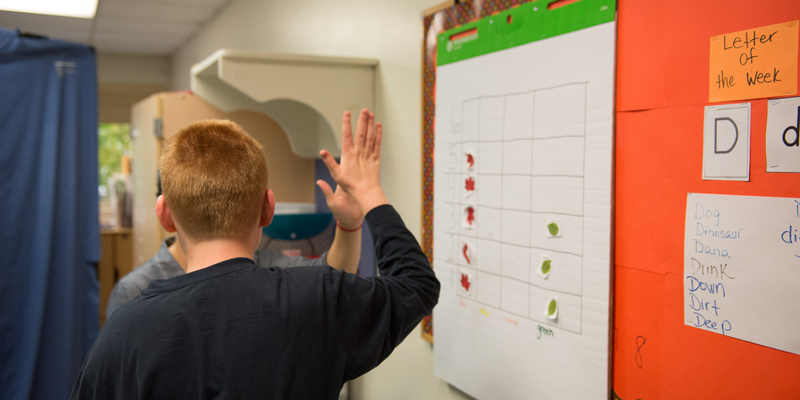 The Center-Wide Positive Behavior Support Plan includes preventative strategies to help individuals learn to self-regulate their behavior by identifying their feelings, adjusting their response, engaging in mindful behavior and making good choices. The first step in teaching coping skills is to model and assist the individual to engage in coping strategies as part of their daily routine, as well as when emotional overreactions occur. Below are some QUICK COPING SKILLS to practice any-where at any-time. Deep Breathing– Breathe in deeply, hold the breath, then release the breath slowly. Stretching- Stretch arms up above the head, out to the sides and then down to the floor, hold each stretch for 5 to 10 seconds. Counting- Calmly and quietly count up or down from 10. Take a Break- Leave the overwhelming situation and enter a positive one. Deep Pressure- Provide firm but gentle hand, arm and shoulder squeezes. Contributed by Katie Skinner, B.S., Behavior Specialist at The Center for Discovery.